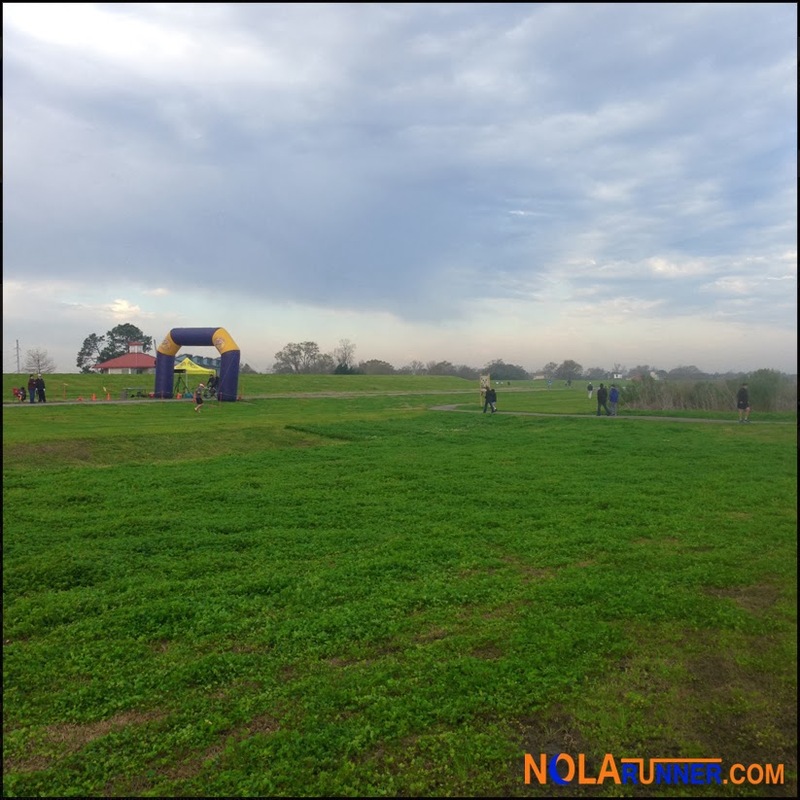 I had absolutely no idea that the shores of Lake Pontchartain had re-opened through Metairie and Kenner as a running path; however, this past Saturday, it played host for the 2014 Al Briede Gold Cup presented by the New Orleans Track Club. This three mile race exposed me to a newly refurbished route that's ideal for events and training runs year-round. The Al Briede Gold Cup has been a long standing tradition on the NOTC race calendar, and is named for founding member and past president of the organization Albert “Al” E. Briede III. Al's name has been well known in Crescent City for decades, not only for his contributions to the NOTC, but also as a pitcher for the New Orleans Pelicans baseball team and 50-time consecutive finisher of the Turkey Day Race. There really isn't a better person in our community to select as namesake for a race. Race morning was overcast and cool, perfect conditions for a run. I arrived on the breezy lakefront with a couple friends early to get registered and to spectate the 1-mile run that was set to take place at 8am. 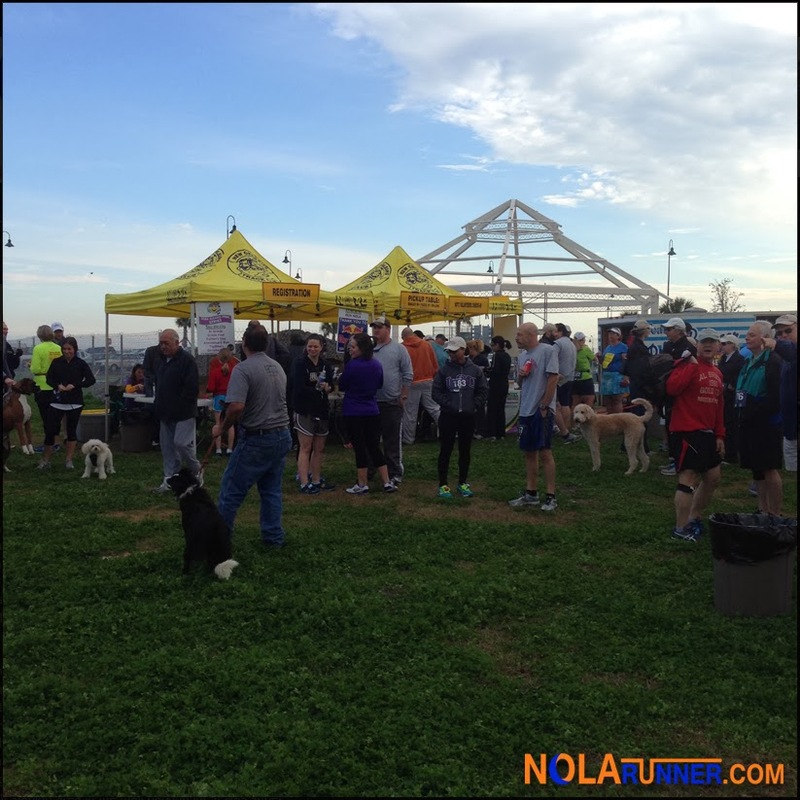 Since this year's race benefitted the LASPCA, critters on both 2 legs and 4 were participating in the shorter of the distances offered. Soon after the 1 mile race wrapped and an interesting National Anthem concluded, the 3 mile main event was ready to take off. The course of the 3 mile race was very simple, an out and back spanning from Bucktown to the Causeway Bridge. One water stop on-course that runners hit twice was perfectly placed near the Bonnabel Blvd. boat launch, and it was well staffed by several hard working volunteers. Impressive runners leading the pack back to the finish line were within arm's length as they passed those behind them. Meanwhile, my February of non-running caught up to me about two miles in to the event. The pace on the back half of my race slowed considerably, and reminded me how much work I have to do before other races in the coming months. While the number of Al Briede Gold Cup participants was less than of a normal NOTC race, those that had recovered from Mardi Gras in time to take part were strong and enjoyed a great course along a scenic route. The NOTC did a great job getting word out about the event, with numerous emails and social media posts alerting members and race regulars about the date and time; however, I wonder if the date so soon after Fat Tuesday prevented many people from attending. The Al Briede Gold Cup kicked off the newly revamped Grand Prix race series presented by the New Orleans Track Club and Varsity Sports. The guys from Varsity even celebrated the new partnership by giving out 100 Grand Prix shirts at the finish. The racing cap that all participants received was a nice change from the typical t-shirt, and the race / post-event party were held in a great location that I plan on frequenting often throughout the summer. For complete race results from the 2014 Al Briede Gold Cup Race, click HERE.